A couple years ago, after reading Joe Hubers fun and entertaining geeklist My top 182 games of all time... (Now with polls! ), I decided to do my own....and now its two years later so its time to hit it up again. Its been about four years since I've become a heavy gamer and BGG user, starting right around Christmas of 2009. I started recording plays 2010 January 1st so this list will include playcounts from the past 46 months or so. Following Joe's example all the games are currently ranked 8 or higher in my collection. I do use the BGG recommended rankings which is primarily focused on how often I would want to play the game with some thought to quality. As such all these games are at least "Very good game. I like to play. Probably I'll suggest it and never turn down a game". The process for making this list was first going through my collection rerating all my games. Then I just put all the games listed 8 and higher into this geeklist, sorting as I entered each game. I am writing this before I complete the list so I may be wrong, but I'll bet there has been a ton of volatility. Four years in a hobby isn't a long time, plus just earlier this year we moved from Houston to Las Vegas so I expect some changes. While my core preferences haven't changed, my current group does end up playing a bit lighter at times and I think lighter games may be sneaking up. AAArg's top 55 games of all time! 2011! If I wrote this a week ago it wouldn't be on this list. So that's why its the very first thing here. I'm not sure if it will be on the list in two years. But this is just an excellent sleek euro design. I really like Schaact's work in China, Hansa, and Coloretto. Can't say as much for some of his more recent fare. 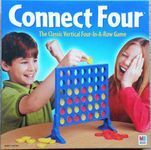 This is a simple game with simple rules but the more you play it, the more you realize there is a lot of intelligence running under the surface of this game. *In September, I finally got to visit my grandparents' gravestone 6 years after my grandfather was buried. It was a very simple gravestone, but the sweetest thing was that the only specific date on it was their wedding anniversary (under each person's name was their birth and death year but not the day). It was a very strong and powerful tribute to their relationship and a great decision by my dad and uncles. ** I have a pet theory about shogi piece drop mechanic. I suspect the idea came from the fact that maybe way back in the ancient times it was not easy to have different colored inks. Xiangqi solved the problem by giving the opposing pieces have different homonym characters and Shogi with the arrow shaped pieces. From there its a small jump to having pieces just change sides after being captured. Yeah its almost a children's game. But I have a soft spot for speed games. I'm typically better than the competition because I'm usually teaching the game, but I still have a lot of fun with this one, I like to handicap myself at the start (having to find a 2nd set before calling set) but once people start to get a lead I drop the handicap and see if I can't blow away the field. Sometimes it works sometimes it doesn't. By the way, I'm actually not that good at the game - its just that I'm not playing with the top competition. The first time I played it I was blown away. My ardor has since declined a bit, but I find it an interesting auction / area control game. And such a simple mechanic. I ended up buying a copy of the first edition because I much prefer the art, but the FFG big-game-in-a-small-box is certainly charming. Typically I'm a fan of streamlined gameplay which is another reason I chose the first edition, but I'm starting to think maybe the FFG additions were actually good. I'll have to play the original version a few more times. We played this a ton when we first got the game. Its trailed off considerably then, but its still my favorite fishing game. The slap of the cards against the table adds considerably to the experience. Of the PYL dice fillers out there, this is my favorite. I really respect Can't Stop but its not pure rocking silliness like Zombie Dice. And unfortunately I think Can't Stop can overstay its welcome at times...and this brainless affair manages to avoid that. It almost impossible for me to leave this game out of the list. I can't say I absolutely enjoy this game, but I really, really respect it. I think the share listing CRT is a bit old fashioned and there is a lot of tenseness in hoping other people don't do things you really want to do (not a favorite mechanic) but really its a pure, pure design. This is a criminally undermentioned game. 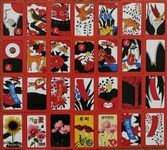 Its a great abstract hidden auction hidden identity game. I was given this by a gamer clearing out his collection and while I can see how some people might not enjoy it due to the mechanisms at play, I have to say its an excellent game! Worth keeping an eye out, I place it like Acquire as a proto-euro. I have not had the pleasure of playing this game much, but its just such a great 2P tug of war game. Los Banditos kind of fell off the list due to lack of play, but maybe it will come back on in a couple years. 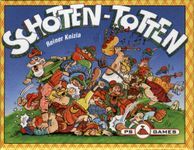 Schotten Totten has stayed just because with a finite deck its just a more austere game so maybe I am subconsciously thinking this is "better" even though typically I prefer dice probabilities over card counting. Njet is good...but Mu is excellent. I haven't been playing much traditionalish trick taking games lately, but Mu is a majestical game. Its an awesome combination of trick taking, variable partnerships and auctions - and certainly the art helps the whole way.. I was lucky to even play this one time. There was a boardgame bingo competition at my local convention and a couple guys needed to play a short Freidmann Friesse game. One of them was fond of funky tricktaking card games so I pulled this out. As I've mentioned before, I'm not good at getting such traditionalish games played, but this was the perfect opportunity. This is a really clever design, a nice combo of trick taking and shedding games (I'm actually more of a climbing / shedding game fan so it works well for me). Hell yeah! 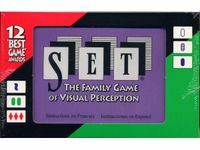 There was a couple summers in the early 90's when we would play this with some family friends. Utter chaos and destructive to your deck of cards but it was RAD! If you need a speed partnership game, its hard to think of a better game. We just moved to Vegas earlier this year and my new group has a big proponent of the Resistance. I respected the design when I first came across it when I restarted gaming in 2010, but it kind of fell flat with my Houston crew. With a devoted playing group here, I have to say its not just mechanically elegant, but definitely excellent. As you might notice, I'm not fond of all the additional stuff, I don't mind asymetric games. It makes winning all the sweeter when you're on the "wrong" side. Just played this 5 times in one boardgaming con. Even though I'm not fond of batteries or electrical devices in my games, this was the perfect use of it. Its a lovely mess of chaos and skill (at least I think there's skill). Its been a while, but I can't forget the many times I hit a hypnotic state playing this in person and on the computer. I have an odd thing for tic-tac-toe. This isn't exactly TTT, but its pretty close and I find this quite hypnotic as well. I am not a fan of worker placement mechanics, and definitely not that of heavy worker placement games. The one exception is Caylus. Its right at my limits of likability but I think this is just a great clean design and if I'm looking for a brainburn this is about all I can handle. That said, I haven't felt compelled to purchase it either...but maybe in a couple years. Unlike Crokinole this game is HARD. But I can see this being really rewarding. And since you can get it for $40 at your local Indian grocery store, its a way better deal than waiting four months and paying $200 for a set out from Virginia. But yeah, this game takes some serious skill. 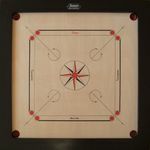 I'm going to have to dig up a Carrom for dummies variant before playing the full game....I think there was one where the goal is to knock in any color piece but they just have different point values. Its a great blend of coop and speed. I've never actually had a problem with the alpha gamer in my coops -- but the threat of it has dampened my enthusiasn for these games in general (hence my love of Hanabi). However the speed approach also works nicely. 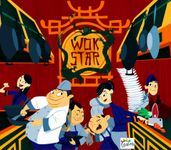 I would imagine many asians (including me) would have problems with the theme, but I guess I got over it because it really is a nice excellent game. I'm hoping the kickstarted edition with new rules doesn't ruin what made it great to begin with....but given his great initial offering, I should most likely be hoping that he improved it, since Tim can definitely design! Last time I put it on the list in hopes of liking the game a lot. Now I can put it on the list saying I definitely do. Unfortunately I don't get to play it much because 2P just doesn't get played. But its a great take on 2P area control, the phasing mechanism is just brilliant. This game completely fired Liar's Dice for me. Unfortunately Liar's Dice is an arithmetic game: Bid = my dice + number of other player's dice showing + (number of other players * 5 - dice removed - total other player's dice showing)/3 or 6). Its just too much calculation to be enjoyable. 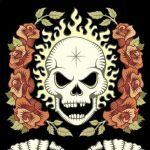 Skull and Roses boils down to a pure essence. 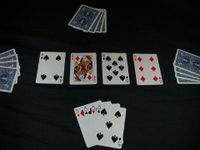 Bluffing or not? Skull and Roses (in the form of a gostop deck) and No Thanks are the two perennials fillers in my gameday bag. When you talk about emergent gameplay. This is the example par excellence. 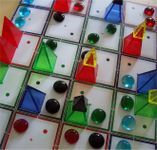 Its also an opaque game and a heavy 2P abstract so I don't play it much. But wow what a game. I like speed games. Richochet Robots is too damn heavy for me. But this is perfect. 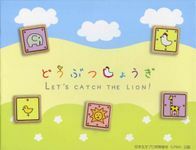 The fun silly theme and chunky wooden blocks also adds to the fun. 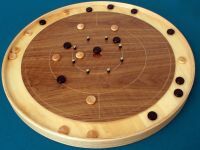 Crokinole fell the rankings after I discovered Carrom. But still an excellent and (unlike Carrom) accessible game. I wish I bought a board with a more gnarled wood pattern but I listened to my wife and asked for plainer board. Oh well.